Sega Republic closed on June 1 2017. We have kept this listing online so our readers are aware of its status. 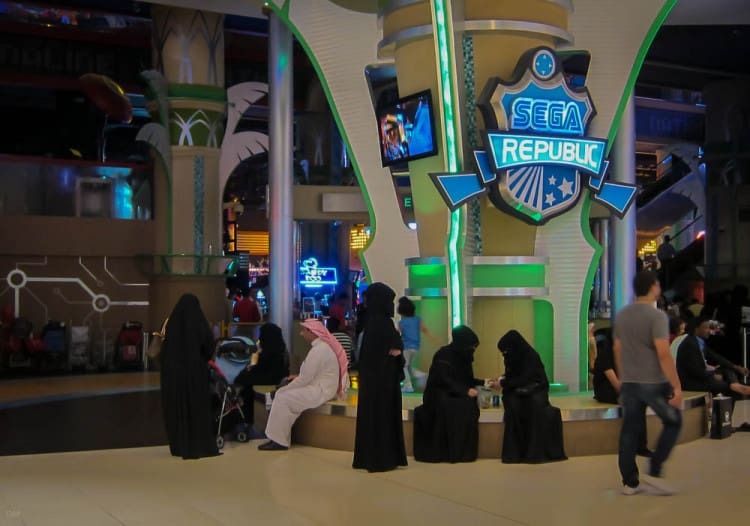 Sega Republic is an indoor theme park at the Dubai Mall suitable for all ages. It offers 5 themed zones spread over 2 levels with 9 major rides and 250 games. The major ride in the Sports Zone is Halfpipe Canyon, a snowboarding simulator that propels riders up a 7 metre half-pipe at speeds of up to 40 km/h. Riders must be at least 140 cm tall. Sports Zone also houses numerous sports simulation games including golf, football, table tennis, and tenpin bowling. 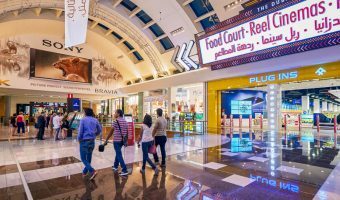 Redemption Zone offers one of the largest selections of redemption games in Dubai. Highlights include Whopper Water (water pistol shooting game) and Sega UFO Catcher (crane hooking game). The Cyberpop Zone is home to next-generation virtual games such as House of the Dead and After Burner Climax. 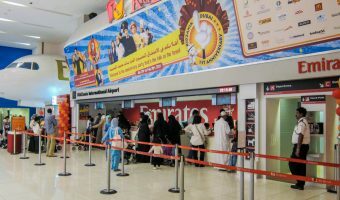 A Power Pass costs 140 AED and allows unlimited rides on all 9 major rides for one day while a Platinum Power Pass costs 220 AED also allow unlimited riding on the 9 major rides but also includes a 200 AED worth of credits for games. Special offers and discounts are frequently posted on Sega Republic’s official Facebook page. Sega Republic is open every day of the week. Opening times are Sunday to Wednesday 10 am to 11 pm, and Thursday to Saturday 10 am to 1 am. 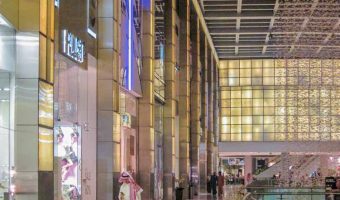 The attraction is situated on the second floor of the Dubai Mall, between Reel Cinemas and KidZania. The nearest car park is the Cinema Parking area.